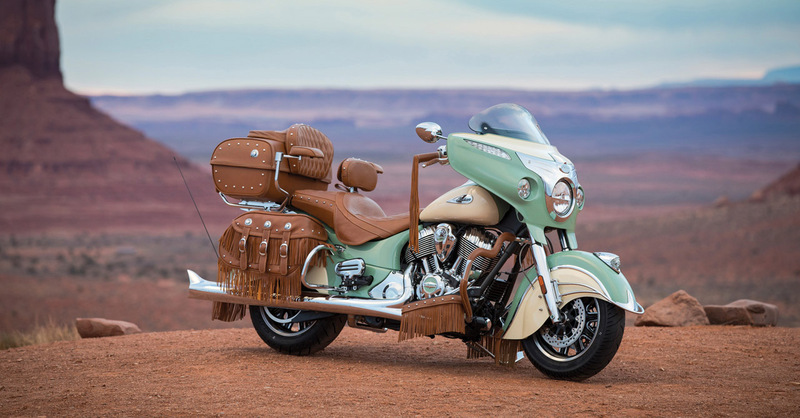 Whether it’s Route 66 or Main Street, you’ll get your kicks on the new Indian Roadmaster® Classic®. Genuine leather saddlebags and trunk give this American touring motorcycle a distinctive vintage style guaranteed to turn heads and make friends. It also has all the technology and comforts you’d expect from a Roadmaster®, like the Ride Command™ infotainment system, power windshield and heated seats and grips. Welcome to Americana 2.0.